Top 5 Up-and-Coming Attractions in Washington, D.C.
Home » Print Editions » 2019 Edition » Top 5 Up-and-Coming Attractions in Washington, D.C.
Washington, D.C. is known for many things: famous federal buildings, historic monuments and world-class museums. Discover the locals’ favorite sights and activities that show a lesser-known side of the capital city. One of the most exciting things about exploring a new city is discovering something unique and unexpected. Finding a hidden gem will reveal more about the city’s culture and history as well as help you and your group feel less like tourists and more like a part of D.C. Consider these five picks of some of Washington, D.C.’s most interesting off-the-beaten-path attractions sure to both puzzle and amaze your students. To get a feel for what everyday life in D.C. is like, take your students to the Capitol Hill cultural hub – also known as Eastern Market. This vibrant community destination offers a mix of food and art products for sale that represent the city’s cultural diversity. The South Hall Market space houses vendors of fresh produce, flowers, baked goods, meats, poultry, cheese and deli, while the North Hall Event Space functions as an arts and community center for meetings, dance classes and other events. 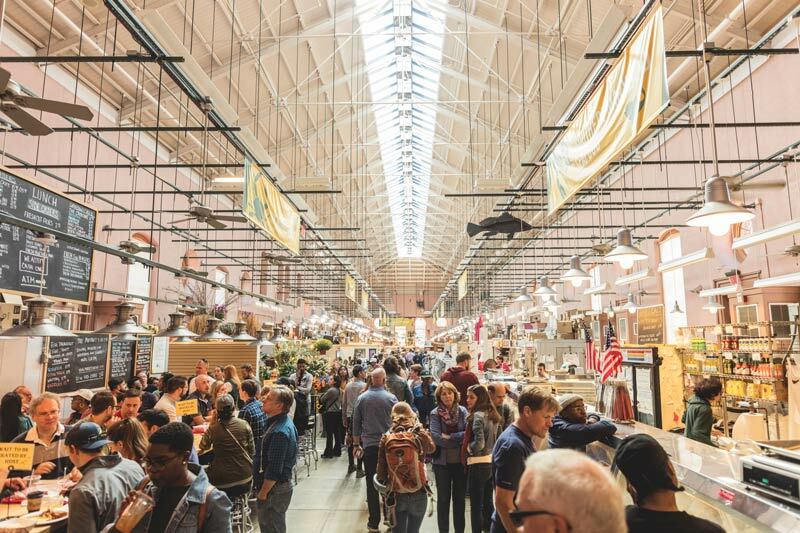 The market also hosts Fresh Tuesday Farmers Market and its Weekend Outdoor Market, where local artisans can sell antiques and their homemade arts and crafts. Weekend visitors can also enjoy this venue’s live music performances while they wander through the stalls. To take a look at a sample of the hall’s vendors and products, visit its website. Visitors to the Newseum will walk away with a newfound appreciation for their First Amendment rights. This D.C. museum is dedicated to celebrating and honoring the generations of journalism, news and the press through exhibits that shed a light on events and movements that have shaped the world through the eyes of the people who reported them. 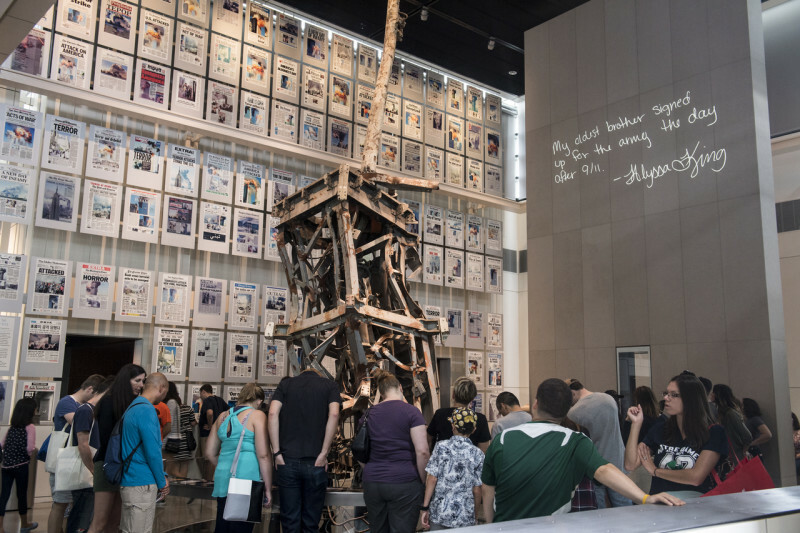 The seven-level Newseum houses 15 galleries and 15 theaters, among which are popular exhibits such as the Berlin Wall Gallery, Journalists Memorial, 9/11 Gallery and Pulitzer Prize Photographs Gallery. The Greenspun Family Terrace offers a panoramic view of Pennsylvania Avenue and many of the city’s prominent buildings down below. This interactive museum also offers 90-minute guided private tours through highlights of the galleries and studios. To explore the other exhibits and features of the museum, visit the Newseum website. Found in the Southwest district of D.C., the Blind Whino building stands as a reminder to the neighborhood of the sense of community it has created. Originally built in 1886, the building functioned as a church for almost a century, but when its congregation relocated, it fell into disrepair and misuse. Since it had been granted historical status, the building couldn’t be torn down, so a prospective developer decided to transform it in a different way. 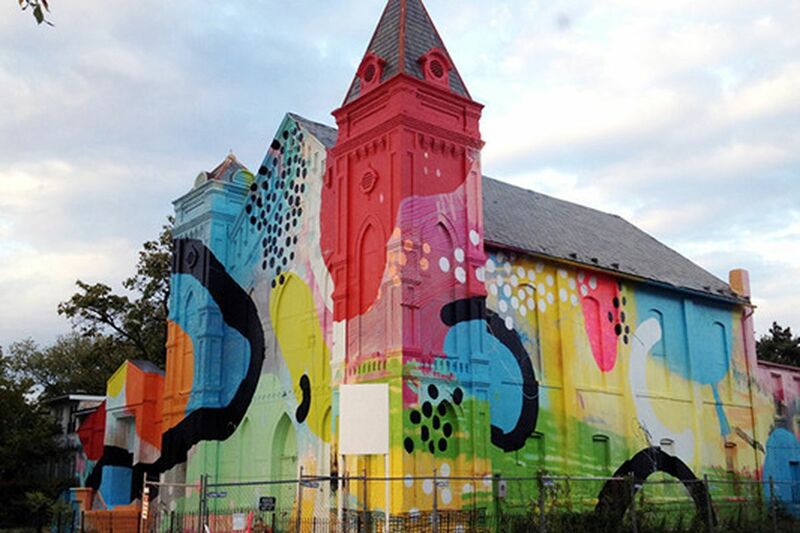 In 2012, he commissioned the painter HENSE to give the church a makeover that would bring the life back into it and make it a beacon of positivity once again. The result is a colorful, graffiti-style mural covering the interior and exterior walls of the building, which was renamed Blind Whino. The building itself has been repurposed to serve as a performance space, a gallery for rotating art exhibits, a community garden, an outdoor courtyard and a lounge space for the neighborhood to gather in. Take a peek at this art hub online before exploring it in person. Student groups of any age will enjoy learning about the history and secrets of international espionage when you take them to visit the International Spy Museum. This niche museum has engaging exhibits such as Covers & Legends, Spies Among Us, Exquisitely Evil: 50 Years of Bond Villains and more. The museum also has the interactive spy experiences Operation Spy and Spy in the City to get your students in on the action. 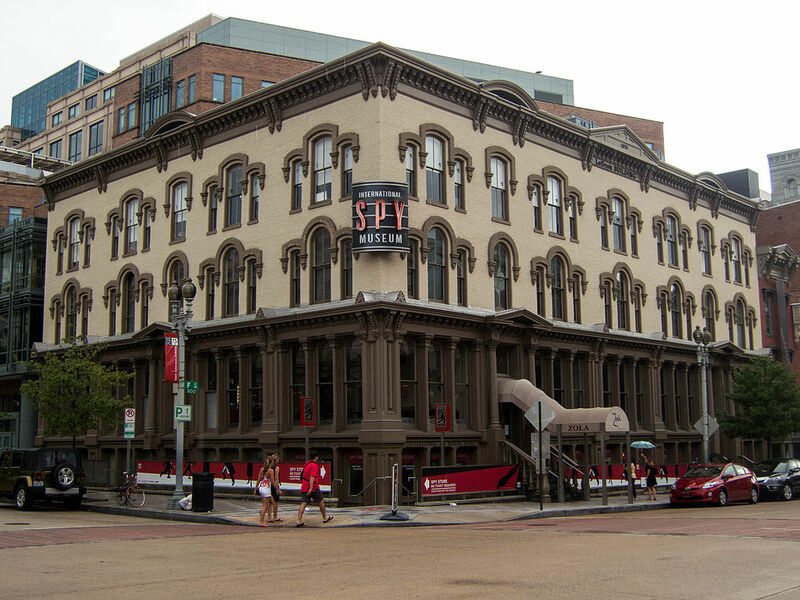 The International Spy Museum showcases paraphernalia from both momentous espionage missions and fictional popular culture spy portrayals. Its collection includes artifacts such as cipher machines, counterfeit currency, historic films and photographs, disguised weapons and interviews with prominent former intelligence offers. To inquire about booking tickets, head to the museum’s website. For a relaxing and scenic break from the hectic pace of a metropolitan city, venture with your students to D.C.’s prettiest hidden gem – the National Arboretum. This greenspace combines both the ethereal beauty of the gardens and the historical significance of the sculptures and special collections that visitors find characterize the city itself. 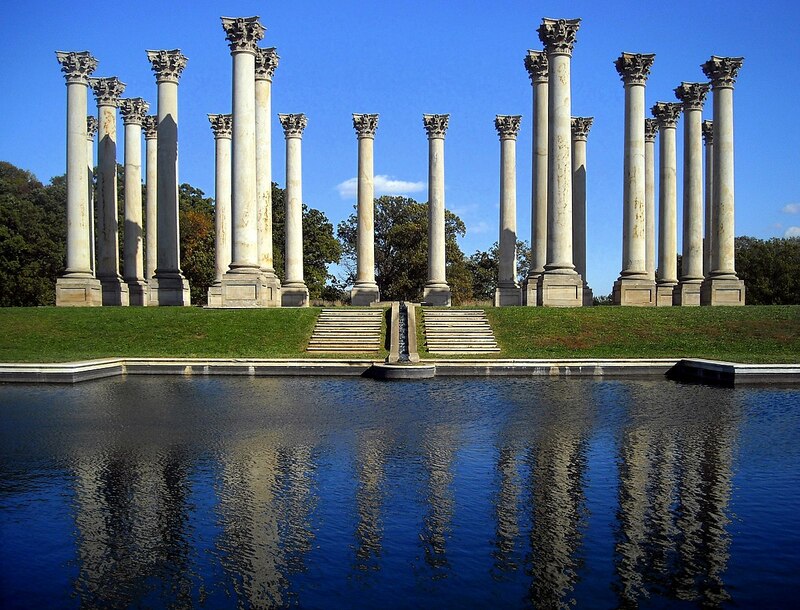 The arboretum’s highlights include the National Herb Garden, National Bonsai & Penjing Museum and National Grove of State Trees, but the main feature is definitely the National Capitol Columns. These massive sandstone Corinthian columns were replaced by new marble ones to better support the Capitol Building in 1958 and were given a spot overlooking a reflecting pool in the National Arboretum’s Ellipse Meadow 25 years later. Start planning your visit to these unique spots today by heading to the arboretum’s website for more information.